TOYS FOR TOTS IS AN AWESOME CHARITY THAT WE ARE PROUD TO SUPPORT! We are welcoming any of our customers to join in collecting toys, if you are interested in being a Toys for Tots Drop-Off location, please email Nicole@pdifederated.com and we will get you setup with collection bins. All donations stay local to your area, so you will be helping local kids have a brighter Holiday Season. 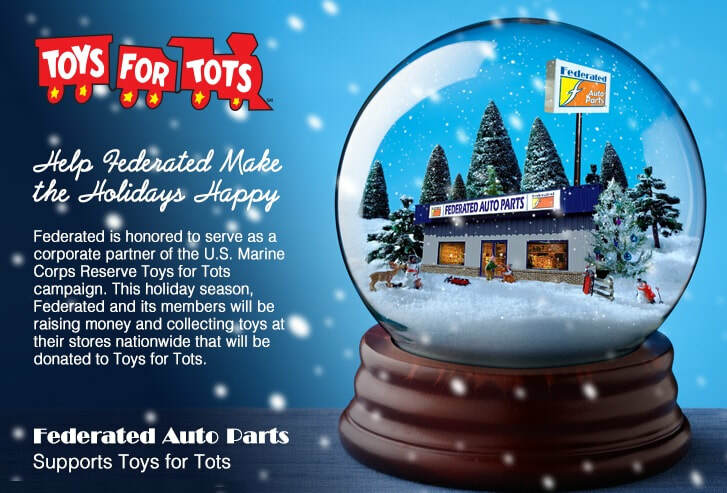 For more information on the Toys for Tots campaign, click here.